I need to send in the template and user http://url-encode.online-domain-tools.com/ to encode the template. I am now just not sure how to send in the --data-urlencode with postman. 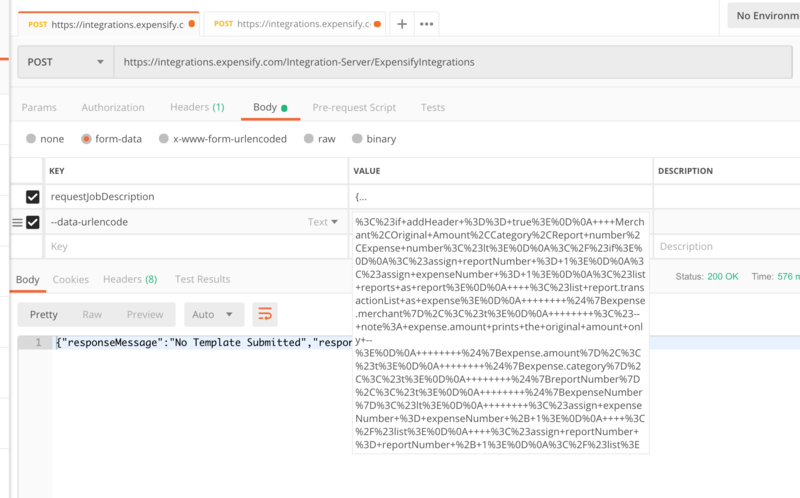 It looks like you were able to URL-encode the template already, so you'll just need to change the Key column in Postman to say template instead of --data-urlencode. That column specifies the names of the parameters in your HTTP request, and our API expects a parameter called template.